Fay the Fish Lady is organizing another small coral show for the Birmingham Alabama region. There will be 8 vendors coming from as far away as Utah. Along with raffles and door prizes. This event actually started on Fay’s front porch and is now being held within a historic Leeds Alabama building. 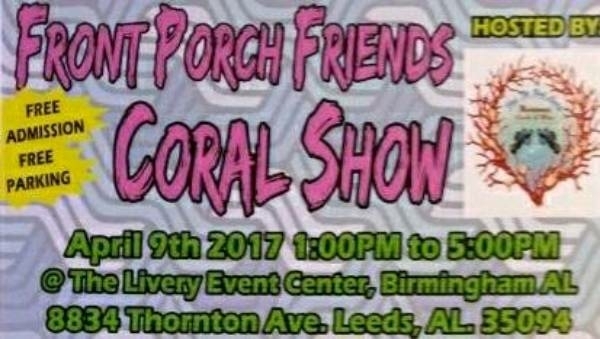 If you are in this region please join Fay and Friends for a small down home coral show.